I really liked the closeup shot of those holds….DANG! I liked this. No shots of the approach, or people screwing around, just climbing. I appreciate videos where people fail on things a lot. 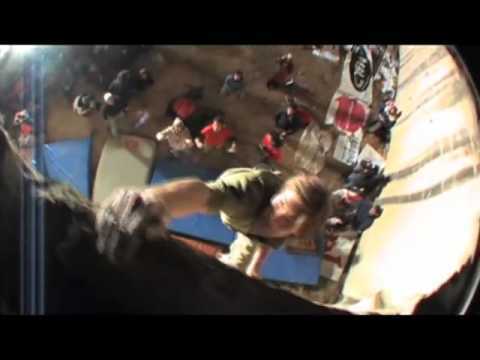 In fact, one of my favorite videos ever doesn’t even have a send: Chris Sharma on First Round, First Minute. I guess it helps me appreciate all the work that goes into a hard send like this just a little bit more. Like was said at the end, “Que buena joder”. Nice send, Nacho! Great video! I liked how the final send was shown in one continuous take. Since the camera man followed Nacho out the cave, we get a great view of every move on the problem. Too often videos are filled with cuts and superfluous editing tricks that disrupt the flow of the climbing. I look forward to more videos with Nacho, he certainly climbs a muerte!